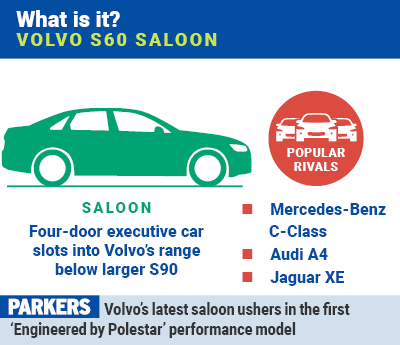 After the strong performance of the Volvo V60 estate car and XC60 SUV, we’re expecting great things from their new saloon-bodied cousin. The S60 needs to be good, though, because if it’s going to break the stranglehold of the Audi A4, Mercedes-Benz C-Class and BMW 3 Series. And Volvo isn’t alone at wanting to beat the establishment. 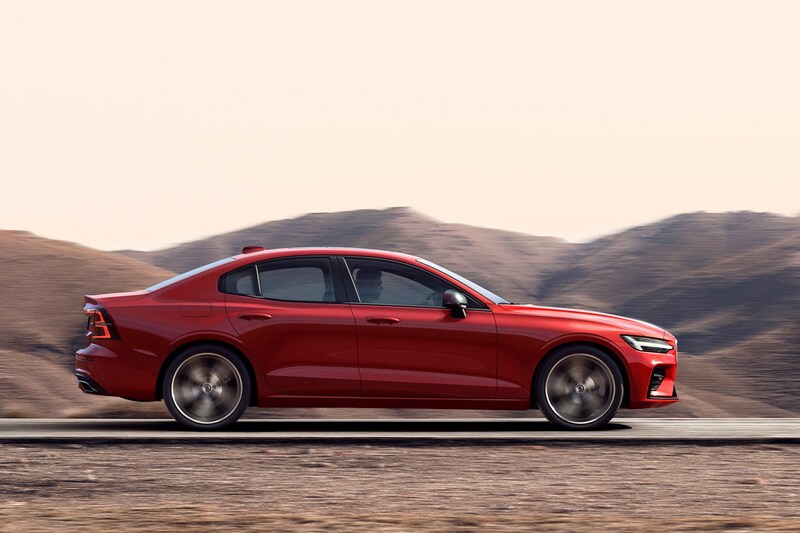 To that aim, the S60 will have to see off other impressive rivals such as the Alfa Romeo Giulia, Jaguar XE and Lexus IS – all cars that have strong USPs and image to match. The good news for Volvo is that in its latest generation of models, it’s been able to tick those boxes. 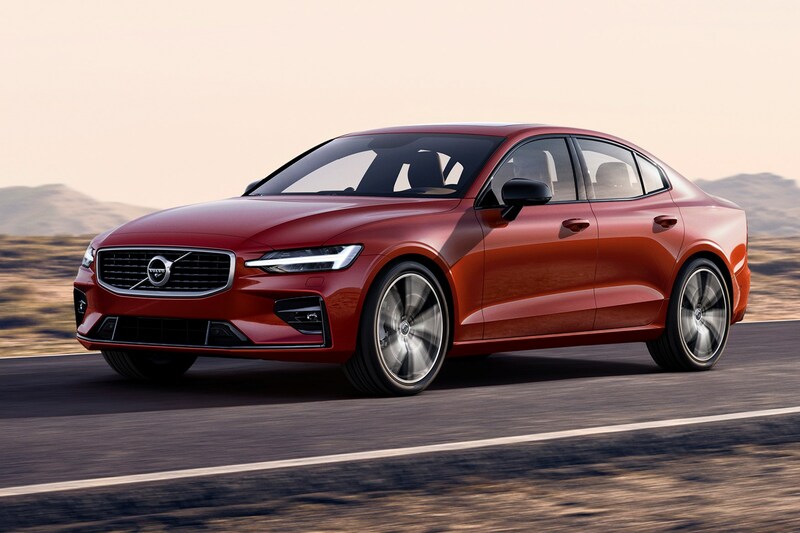 Volvo says that the new US-built S60 saloon is good enough to disrupt this market sector, and from first impressions, it’s easy to see why. It looks disarmingly handsome inside and out, and it’s a company first (well, one in a very long time) in being unavailable with diesel engines. Only Lexus offers this petrol-only approach in this market sector. 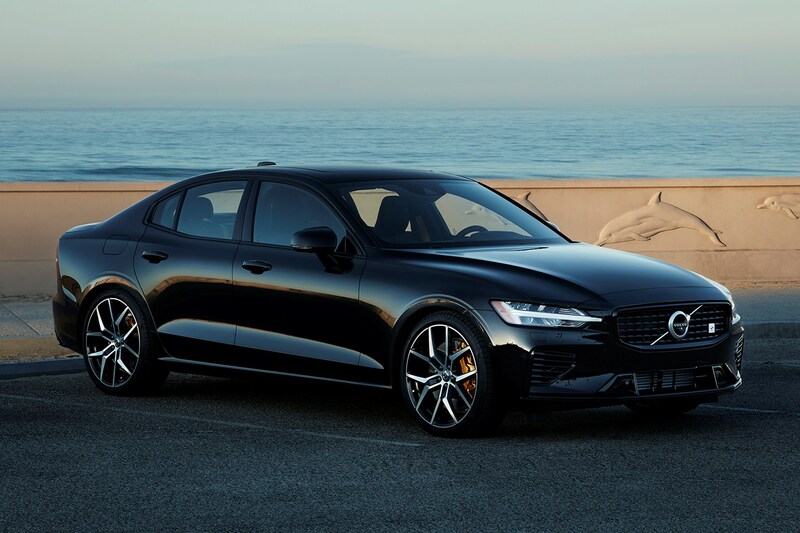 The S60 won’t arrive on the UK market until April 2019, and from launch, expect only to see the 250hp T5. That will be joined by 190hp T4, and T6 Twin Engine and T8 Twin Engine plug-ins (plus a Polestar Engineered version). The top model will boast an impressive 405hp from its petrol/electric plug-in drivetrain. One area where Volvo is doing so well is in its design. 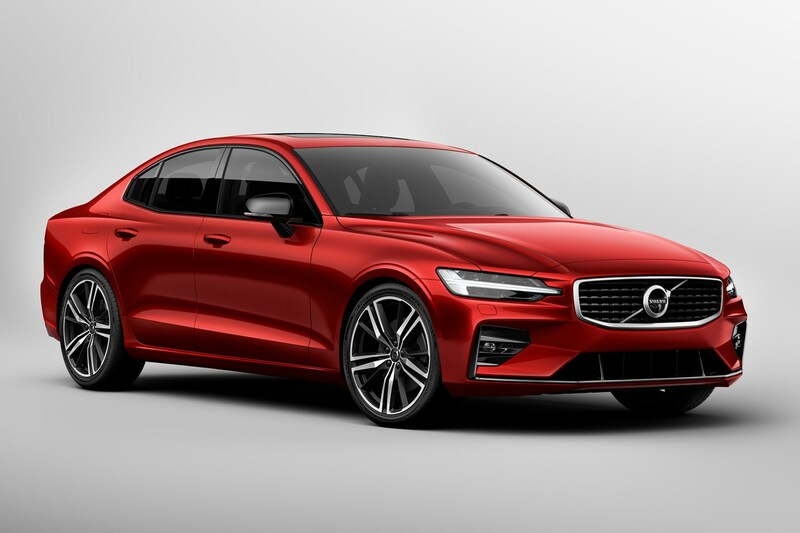 All its new models look handsome and interesting, and the S60 continues the theme, thanks its sharp-V60 like front end, which combines with flowing flanks and almost Jaguar-like haunches. It’s topped off by a truncated boot for a sporty profile – something BMW has mastered with the 3 Series. These looks are a real departure for the company that’s made such a name in recent years with its SUV and estate car styling. 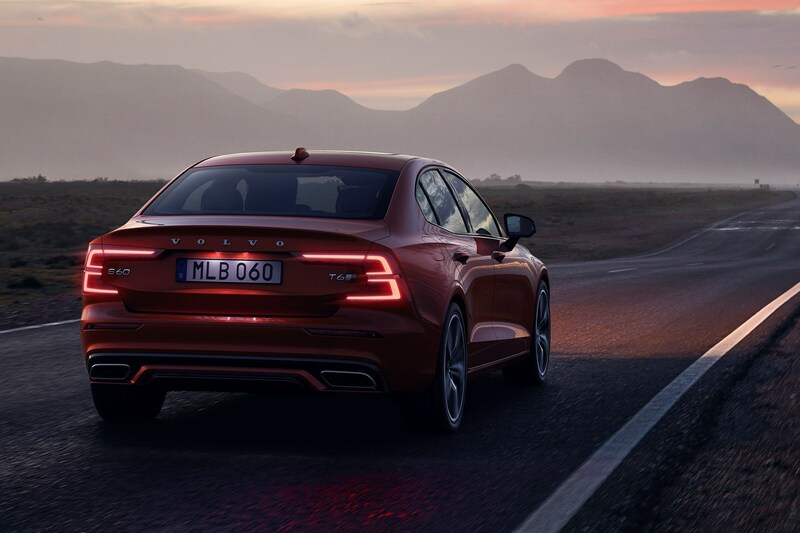 These curves might be un-Volvo like, but the headlight signatures, grille and rear lights bring it all back into line – so as not too scare the traditionalists too much – and after spending extended time with the S60, its looks just get better with familiarity. 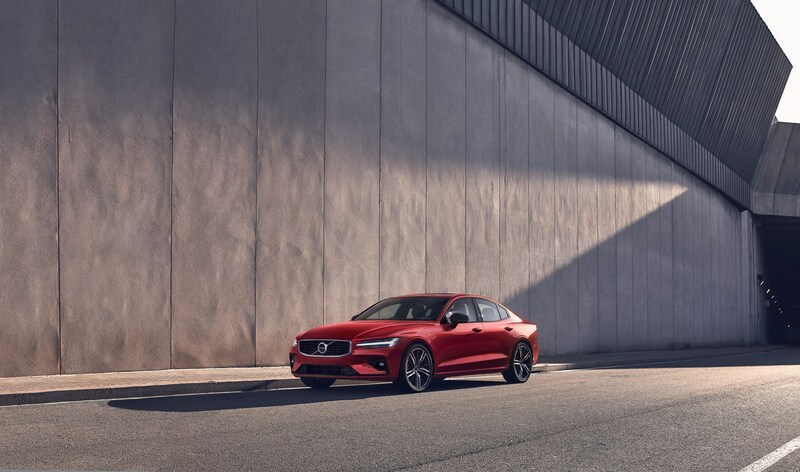 Safety remains a strong point, and although the S60's not been specifically tested by Euro NCAP, it shares the closely-related V60's five-star rating. 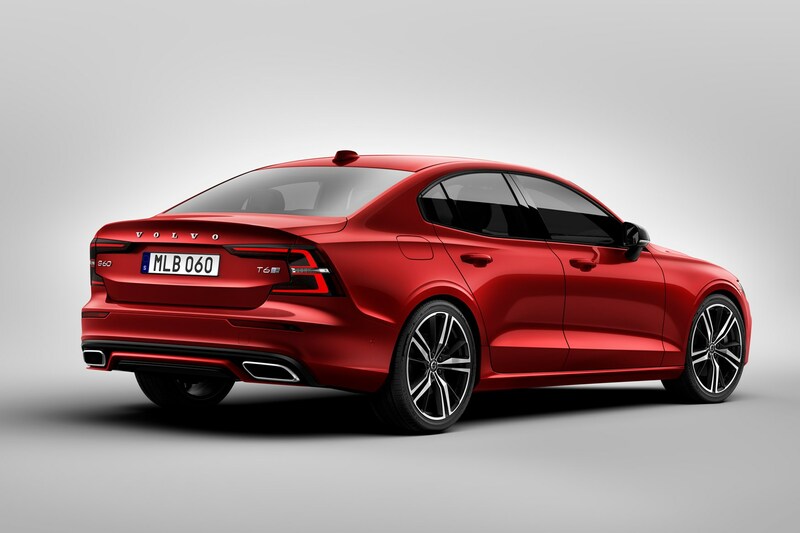 Included in its safety regime - as of 2020 - the S60's top speed will be limited to 112mph. It's part of Volvo's Vision 2020 scheme - the aim of which is to not have an occupant of a Volvo car to be seriously injured or killed by 2020. 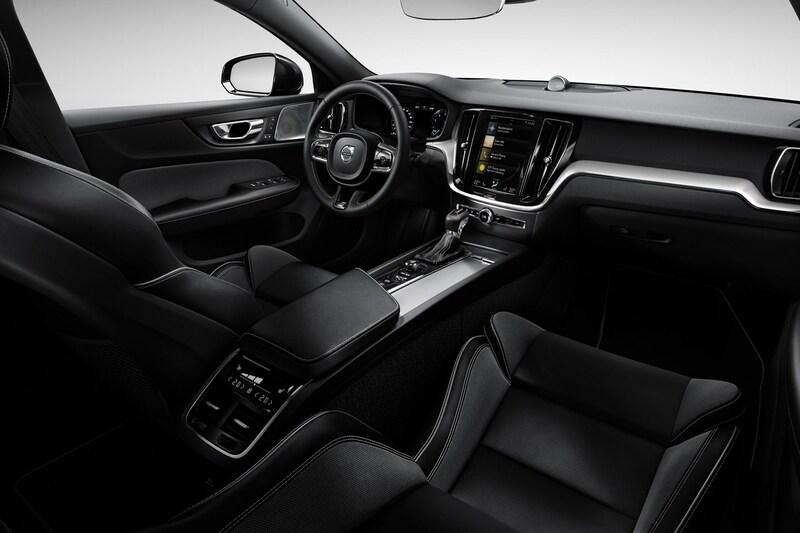 What's the new Volvo S60 like inside? It’s like most contemporary Volvos, which isn’t a surprise, given how well designed it is. The dashboard is clean and features a high centre console with some big cubbies and neat detailing like diamond knurling on switchgear like the starter and drive mode select wheel. 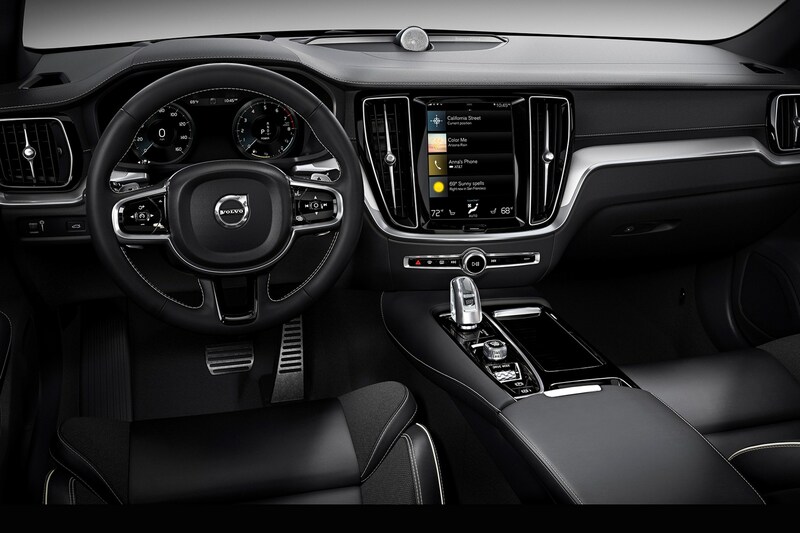 Volvo’s portrait-style 9.0-inch Sensus infotainment system dominates, too, with an iPad-like usability to it. There’s also plenty of safety equipment available including the latest version of Volvo’s semi-autonomous Pilot Assist system that steers, brakes and accelerates in-lane for you for short periods of time. Other tech like cross-traffic alert, lane-departure warning and kit like run-off road mitigation and oncoming lane mitigation all feature here, too. Front seats are super-supportive, and are clearly biased towards long-distance comfort, while the rear is roomier than the current BMW 3 Series and Mercedes-Benz C-Class. We’ve driven two models – the T6 AWD, which won’t be in the initial UK launch line-up, and the T8 Polestar Engineered. Although the T6 AWD isn’t part of the UK launch model lineup, Volvo says that this model is coming. Performance is strong thanks to a turbocharged 2.0-litre 316hp engine, but it feels quick rather than ballistic. Volvo claims a 0-62mph time of 5.3 seconds and a limited maximum speed of 155mph. Even in the most sporting drive mode, the gearchange can be slow to respond, leaving keen drivers almost obliged to use paddleshifters when overtaking. It’s quiet and unobtrusive, but a downside is that the four-cylinder engine sounds dull, and doesn’t really encourage spirited driving. In terms of ride and handling, this is a car that’s dialled-in for comfort. Although the ride is actually quite firm, it has impressive damping and good body control as speeds rise. Body roll is kept reasonably in check, although like the V60 it’s so closely related too, it doesn’t corner as flatly as a 3-Series or an A4, and it feels like a heavy car in corners. Although it’s a primarily built for the motorway, it’s also capable when you’re on A- and B-roads. In tight bends, it’ll do the B-road thing without disgracing itself, but it’s not as inspiring as a 3 Series or as light on its feet as an Audi A4. Overall, when cruising, it feels flat, planted and very comfortable. Another plus point is that at speed it’s particularly hushed. This aspect alone will make it perfect for the market it’s aimed at – and this overall sense of calm and low levels of wind noise, combined with the excellent front seats makes the S60 an exceptionally accomplished car for covering huge distances. It’s a very capable, but not quite class-leading drive, which is relaxed in the main and semi-sporting when it needs to be. 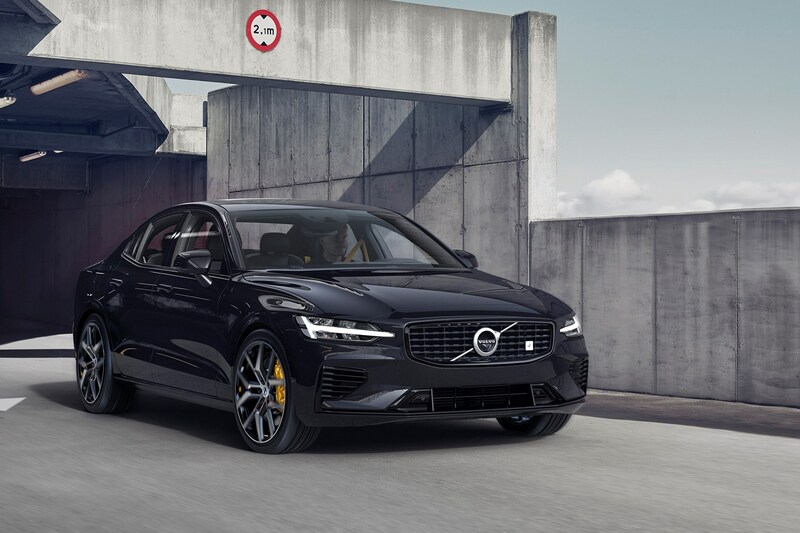 The Polestar Engineered is based on the T8 TwinEngine plug-in hybrid, but there are significant upgrades, which include Öhlins adjustable dampers (which have 22 user-adjustable settings), a more focused driving mode, under-bonnet strut brace and lowered, stiffened suspension. It also has 14hp more as standard (to 405hp), and is expected to cost £52,000 when it goes on sale in the UK. Performance figures look good, with a 0-62mph time of 4.4 seconds, and a maximum speed limited to 155mph. Like the T6 AWD, it’s lacking an interesting soundtrack, but you can forgive it for that, thanks to instant and devastating throttle response in the mid-range. It’s a quick and useful way of getting from one end of a country to the other. Again, the ride is firm, but thanks to those expensive dampers, it seldom gets ruffled by what rough roads throw at it. Yes, it can sometimes feel unsettled on concrete motorways, for instance, but such is the excellence of its damping and body control, it never becomes jarring. How does the S60 Polestar Engineered handle B-roads? 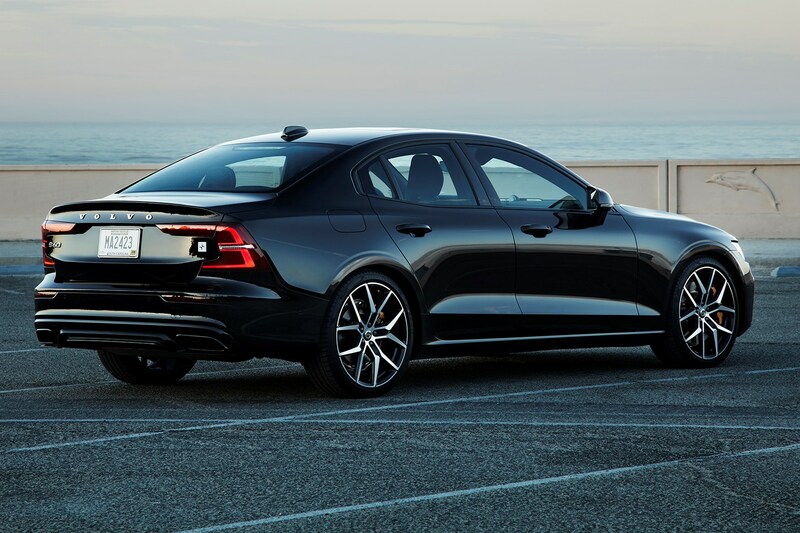 It’s a big upgrade over the standard S60, with sharp steering, grippy, four-wheel drive traction, and lots of ability. It still feels a heavy car, with all the issues that come with that, but far less leaden than the standard S60, and you should be able to have some fun when it comes to it. The six-pot Brembo brakes are brilliant, with great stopping power when you’re driving hard, and a curiously inconsistent feel when you’re not. When slowing to a stop, you’ll sometimes be surprised by how they jolt you to a stop, although familiarity will see you droving round the issue. Overall, an interesting and characterful performance saloon, and although it’s not as accomplished an all-rounder as an Audi S5 or BMW M3, it’s still very capable, and good to drive. It is also a much more convincing effort than the old – but still very likeable – V60 Polestar. The Volvo S60 is good enough to earn its place at the top table of the premium executive car class. It’s supremely handsome inside and out, with a particularly well-judged interior, and once you’re used to the Sensus infotainment system, and accept it’s not as sharp to drive as a 3 Series, it should sell well and reward its owner.